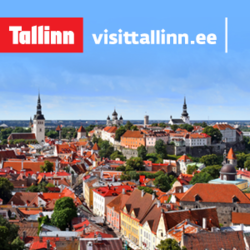 Free entrance to the museum and audio guide rental with Tallinn Card. Please return the audio guide before museum’s closing time. This 2.5-kilometre promenade runs through a peaceful, forest-like residential area in north Tallinn. 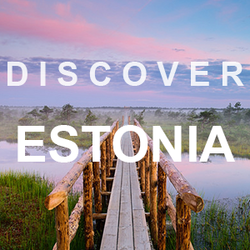 The wood and steel walkway connects two popular suburban beaches – Stroomi and Kakumäe – going past the famous Estonian Open Air Museum. In 1935-1938 a two storey beach building was completed on the Stroomi beach and a 100 metres long bridge to the sea, music pavilion, changing rooms, kiosks, swings etc. In 1950 the beach building was destroyed in a fire, but today a new building is open. The green area has been renewed, walking paths created along with bicycle roads and grass pits, benches and grilling areas are also available. There are many playgrounds for children of different age and fitness areas for adults. On the beach park area is also a lifeguard post with kiosks renting beach equipments, snacks or refreshments. This quiet neighbourhood has long been known for its colourful hodgepodge of old fashioned, working class houses. Throughout most of Tallinn’s history Kalamaja served as the town’s main fishing harbour. In fact, 'Kalamaja' literally means 'fish house' in Estonian, and starting from the 14th century the area was traditionally dominated by fishermen, fishmongers and boat wrights. Everything changed in 1870, however, when Tallinn was connected to St. Petersburg by railroad. Suddenly enormous factories started to sprout up in this part of town, bringing with them an influx of thousands of new workers. This newly-restored market complex is the most modern of its kind in Estonia, bringing an extraordinary range of items together under one roof, with everything from children’s clothes to tasty street food. There’s also a supermarket, sports club, hair salon, fresh fruit and vegetable stalls, the widest range of meat and fish in the country, and a variety of cafés. The new market is something of a community centre, too, drawing in locals for their everyday shopping, but its unique atmosphere, its fascinating selection of antiques and its brewery also make it a great place for tourists to explore. This former burial ground is now a park featuring tall trees, pathways, children’s play areas and a historic bell tower. The first written records of the Kalamaja Cemetery date back to 1561, during the Livonian War, when 2,000 Swedish soldiers were buried here. In the 18th century, the cemetery served as the burial place for the Holy Ghost Church and Swedish St. Michael’s Church congregations. The gate tower, added in 1780, is still in place today. The cemetery was closed at the beginning of 1950 and redesigned into a park in 1964. Since 1993 the park has been a nature protection area. Located in Tallinn's famed, wooden-house district of Kalamaja, the harbour is best known for its architecturally unique Seaplane Hangars. Built almost a century ago, in 1916 and 1917, as a part of Peter the Great sea fortress, these hangars are the world’s first reinforced concrete shell structures of such a great size. Charles Lindbergh, the man who performed the first solo flight across the Atlantic Ocean, landed here in the 1930s. Syitä juosta Tallinnan Maraton vuonna 2018!